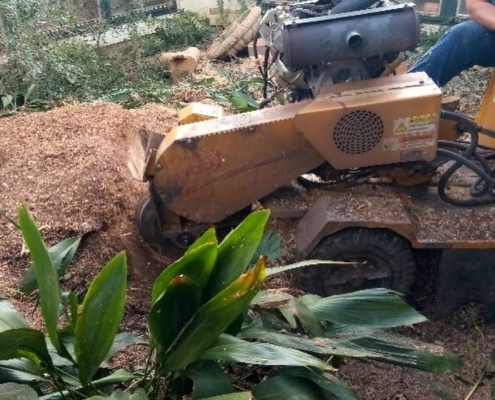 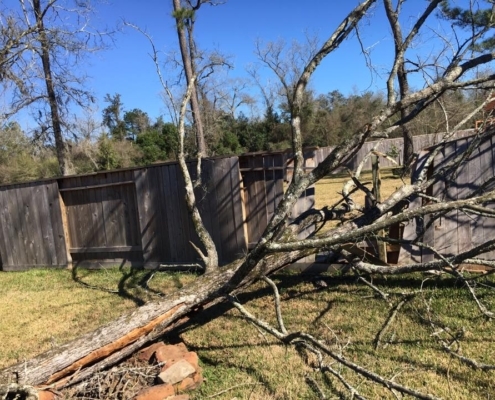 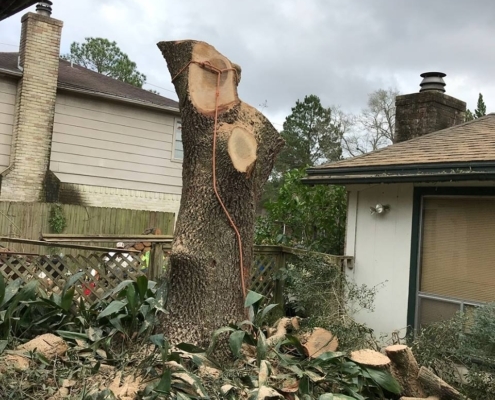 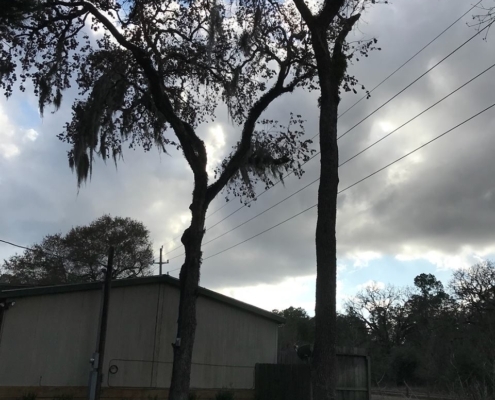 A Spring, TX tree removal project in which we removed a large live oak tree causing damage to the foundation of the house. 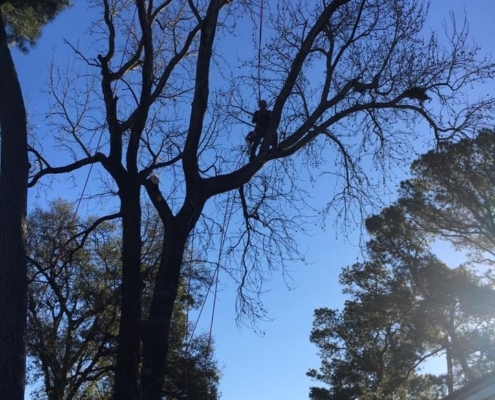 Houston, TX oak tree removal project. 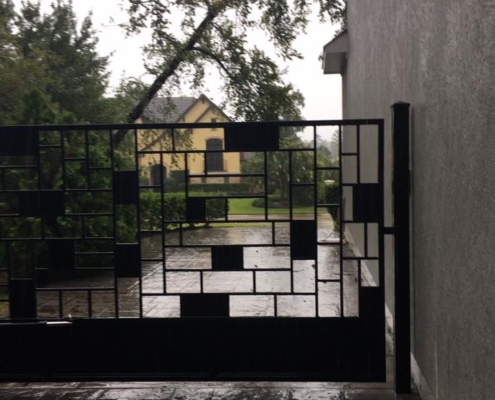 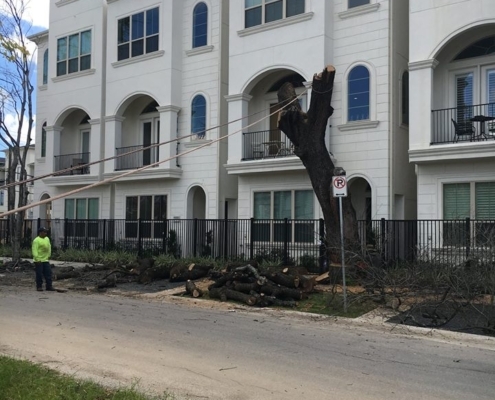 We removed a dead tree from the front of the property, making it more aesthetically pleasing. 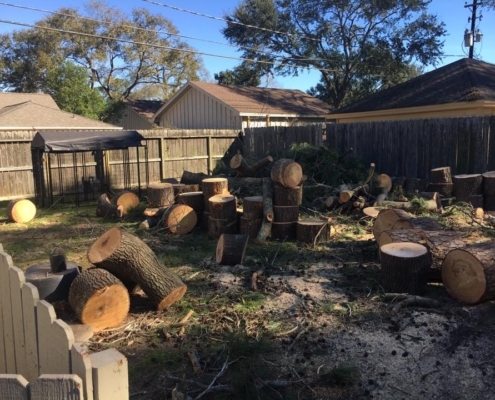 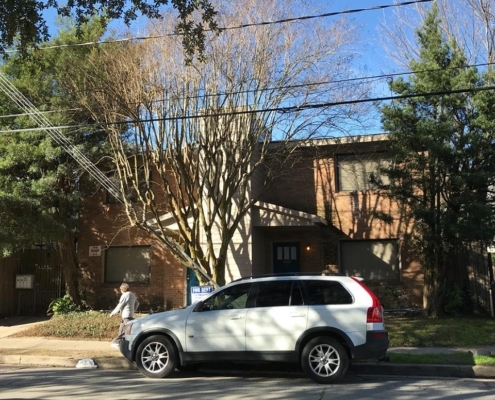 We removed one large pine tree and two sweet gum trees in the Garden Oaks community of Houston, TX. 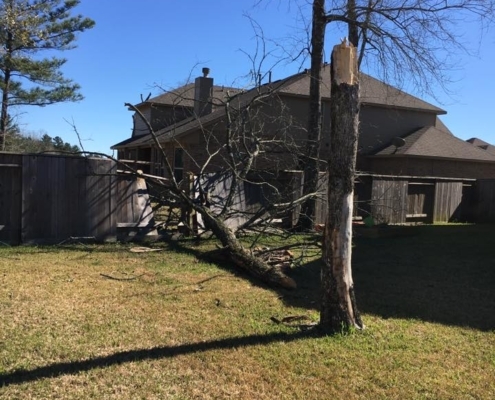 This tree came down due to a tornado and storm damage. 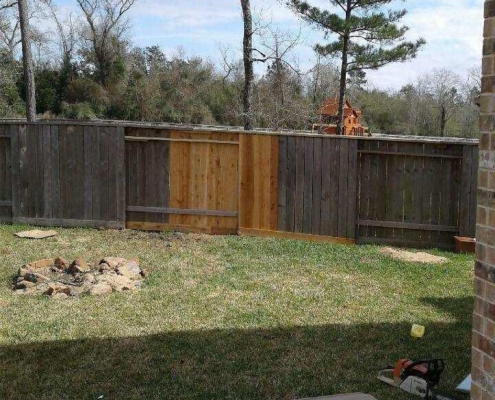 We removed it allowing the homeowners to make the necessary repairs to the fence. 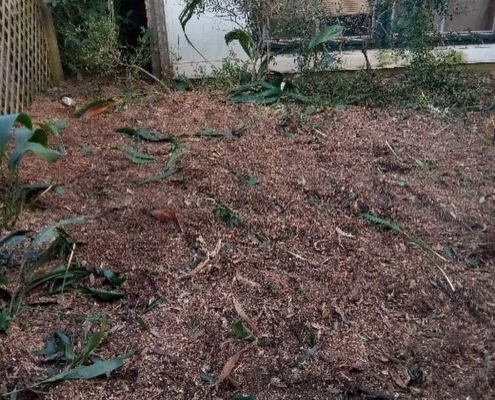 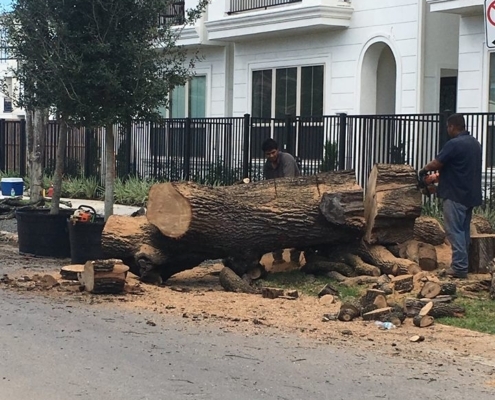 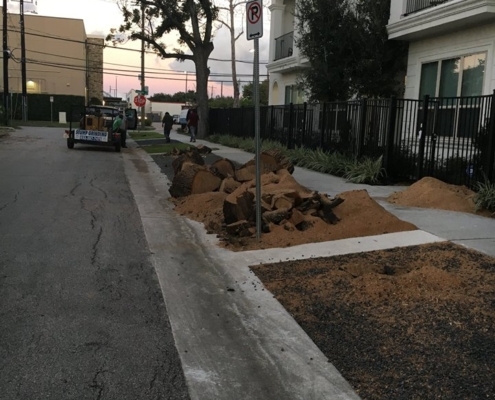 in Greater Houston Area including Fort Bend, Harris, Montgomery We also removed the stump, allowing them to make use of the space where it was. 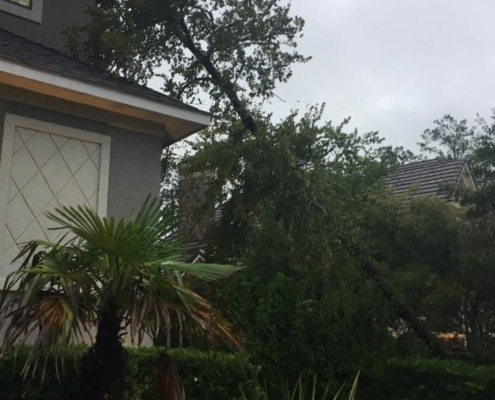 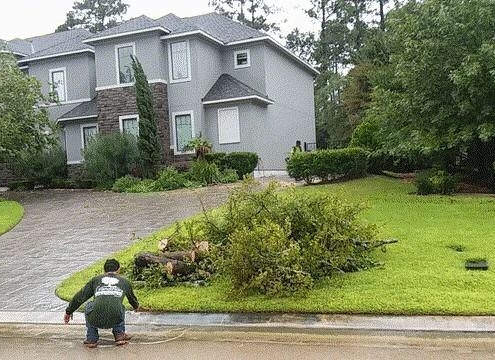 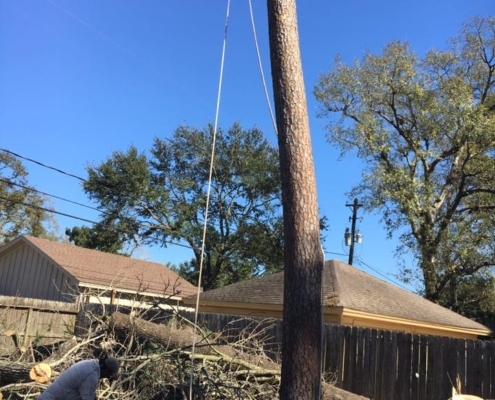 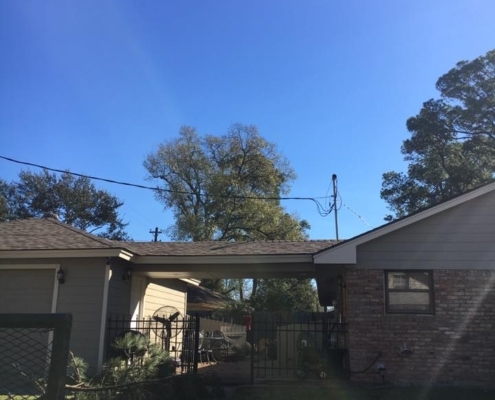 Our Houston, Texas emergency tree removal services came in handy for this homeowner who had a tree fall on their home after the hurricane. 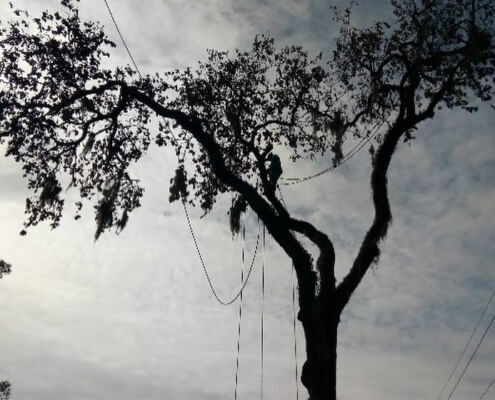 We provided Cypress, TX dead tree removal services to these homowners who wanted to do away with two dead red oaks. 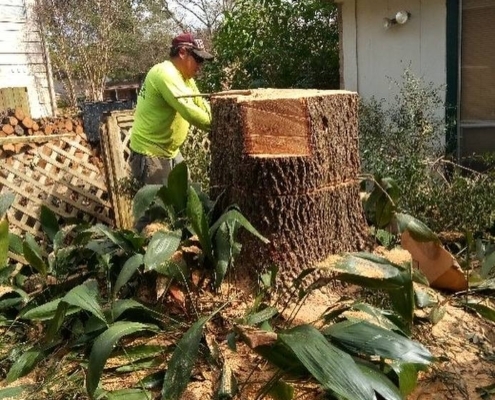 Once removed, we cleared the space where they were located, allowing them to build on it in the future. 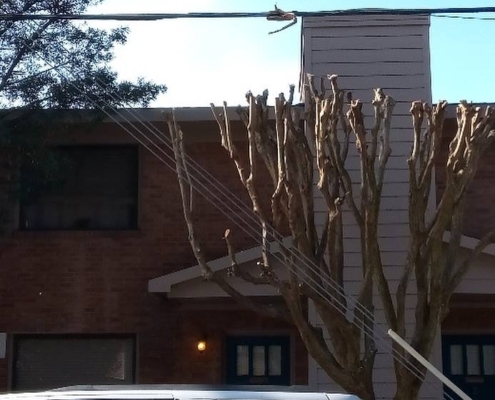 Houston, TX tree topping service for this beautiful crepe myrtle in the The Heights. 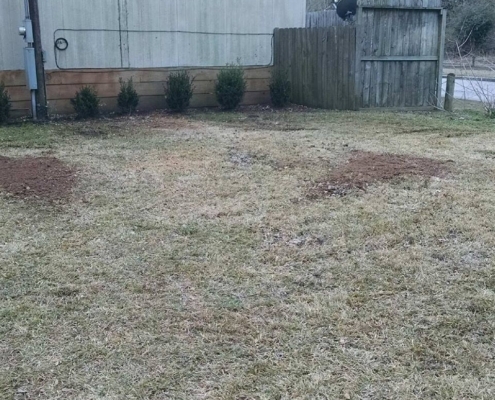 The flowers will bloom better now in the summer. 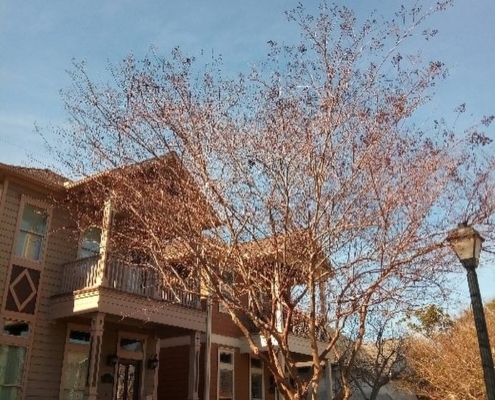 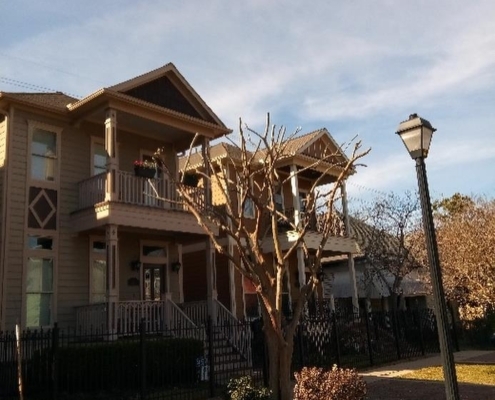 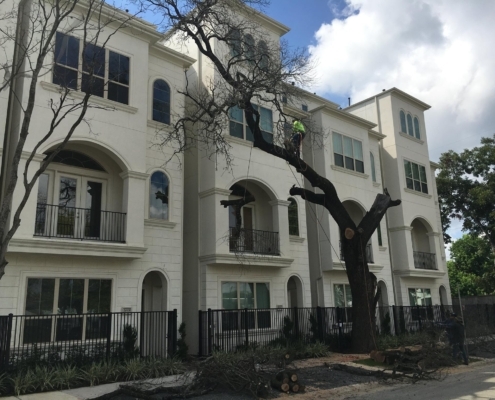 Professional tree topping performed on a crepe myrtle in Montrose, Houston TX.